After a long winter, the city of Dublin is gearing up for an exciting spring! As you may have noticed, the area underwent a lot of changes this past season. The most notable of which is the construction of the new, state-of-the-art Columbus Metropolitan Library. Dublin’s newest project boasts a whopping 42,000 square feet of building space and includes a brand new parking garage. 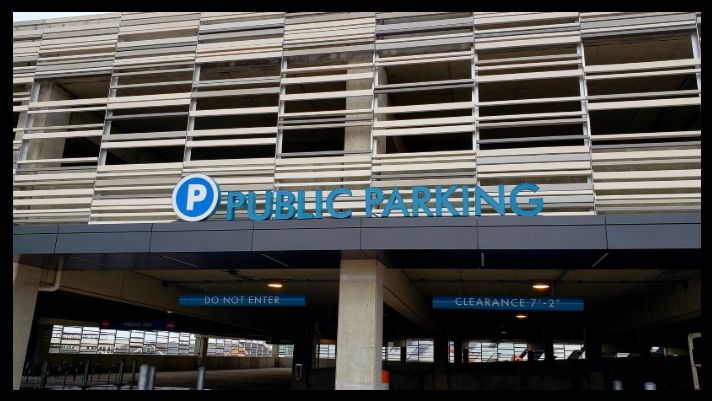 Although the library will not open until June 6th, the ribbon cutting for the public parking space is scheduled for Friday, April 12th at 4:00 p.m. — just in time for the weekend! The garage will add 550 spaces, with 200 of those designated for library patrons. The remaining spots will be available to the general public (for free!) and the entrance is located on the west side of the building. This will significantly improve parking options, making it more convenient for people to visit Historic District businesses and Modern Male! The staff at Modern Male would like to thank you for your patience throughout the construction process. Book your next visit ONLINE today or call 614-588-0550 for your service needs. We look forward to seeing you and providing new parking options!